Here is another Ohio Regional swap. This one was made by my friend, Caroline Morgan. 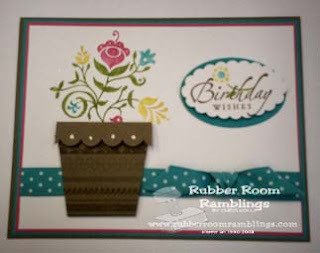 She used the Razzle Dazzle stamp set! I love, love, love that little tiny flower pot! !